Vote for Illustrator X in Talenthouse Competition. Why is Bill Murray holding Ghostbusters 3 hostage? Is Jim Parsons just an unfunny Sheldon Cooper? Rob Zombie needs to cease making movies. Like it or not, Dark Shadows is being remade. Burton, Depp and Green. Like it or not, Godzilla is being remade. No Mathew Broderick. Like it or not, The Stand is being remade. Stephen King, still involved. Worries for the John Carter of Mars production. Our guest tonight is Jason Casey. He talks about his art, his process, and his plans for the upcoming Con Season, including Boston Comic Con and GraniteCon. 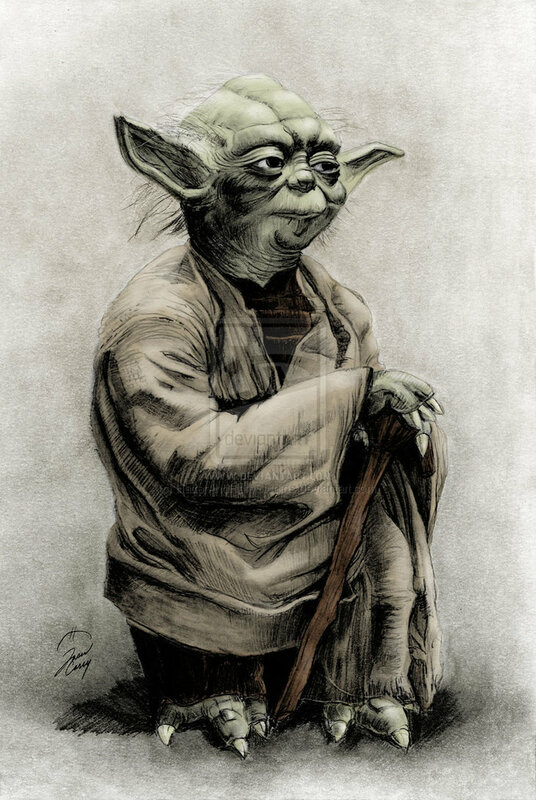 There was NO winner this week when we spun the Wheel of Escher-Like Wheels, so the prize package from last week will carry over with the addition of a print of Jason Casey’s Yoda. To be in the running to perhaps win this awesome prize, simply post a comment on this Talkcast. Good luck Illustrator X in the Talenthouse Competition! Hey guys–sorry I missed the live show this week. I know I’d have had comments to make, so now you’ll get them here. First, on the possible remake of The Stand–I almost never enjoy movies made from books I’ve read because they do such a poor job of adapting them to the screen, but the original The Stand miniseries came as close to replicating the reading experience as any adaptation I’ve seen. I think any attempt at a remake, especially in a shorter format, is doomed to failure, and I for one will not watch it just to avoid the disappointment. On Dark Shadows–I couldn’t quite tell whether Illustrator X was against original, or just the remake. If the latter, I’m with him. As I think I’ve mentioned once before, Jonathan Frid will always be Barnabas Collins to me (and yes, I am old enough to have seen the series when it was first aired). As strange as it may seem, the shoestring nature of the John Curtis production actually added to the enjoyment of the episodes, and I think something made more slickly (as any remake is likely to do) will take away from the Dark Shadows experience, for me anyway. I don’t agree with X’s general premise that we need to avoid recycling, however; if a remake of a classic (and I use the term perhaps a bit loosely) series can be done in such a way that it retains the uniqueness of the original, series from the ’60s and early 70s would be new to many (for example). And to a large degree the writing for those series was more…honest. For example, I’d love to see a remake of The Outer Limits that was true to the original–the concept could be applied to any number of more recently written sci-fi shorts. It would certainly be more interesting to me than most of the pap that’s done now (Mega Python vs Gatoroid, anyone?)! It was good to hear Kriana back in fine fettle, and my condolences to The Dead Redhead on the SB outcome. X, you’ll get my vote on Tuesday. And just a word of caution–I’ve been told that watching the Wheel of Escher-Like Wheels unprotected as it rotates can induce a catatonic state that is, perversely, also psychosis-inducing, so wear those safety glasses! See ya next week. Ahhhh…. now that’s the kind of comment we love! Let me amend my statement on recycling — it’s bad for you, me and the environment if you’re recycling something that was awesome to begin with. I completely agree with your assessment on the original run of Dark Shadows; warts and all, it was a fantastic series that the 90’s remake paled in comparison to (not to mention the godawful theatrical films). This is a case of BAD RECYCLING. Good recycling would include masterpieces like The Maltese Falcon — I believe there were 2-3 versions of the film prior to striking gold with the Humphrey Bogart classic, and what studio would dare remake it now? Take note, Tim Burton — I’d rather see an original story than a rehash. Sorry it took me so long to make this comment. I was watching the Wheel of Escher-like wheels without protection, and I’ve just been sitting here catatonic for almost 3 weeks. I have to agree with X and Olivaw. I wish they would stop recycling things. Especially Tim Burton. Before we know it, he’s going to remake Beetlejuice starring Shai LaBeouf as the title lead.